OIC 21728 Grande Central Filing System - 27.5" x 16.62" x 5"
Grande Central Filing System offers a unique design holding either letter-size, legal-size or A4-size documents or files. Special slots for envelopes or postcards allow easy retrieval. Slender, detachable pencil cup fits on either side of the starter pocket and holds writing utensils. 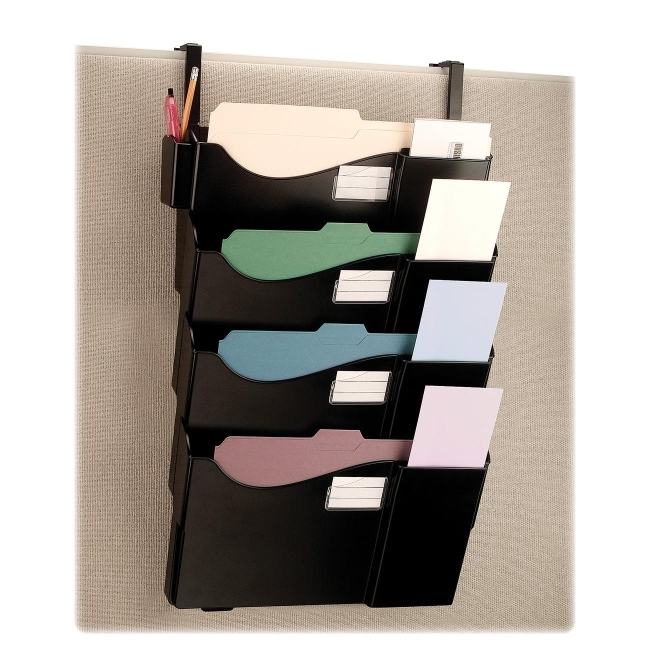 Starter pocket includes labels for categorizing files. Enclosed hardware makes it easy to attach to walls directly. Easy-to-assemble cubicle hangers allow system to work in cubicles. Included hangers adjust for wall panels from 1-1/4" to 3" thick.